The Abe administration emphasizes the arrival of the “100-year life,” and the government envisions labor market reforms that meet the needs of a society in which people live much longer than past generations. While elderly people will need to have more money to cover the expenses of living longer, the policies that address this issue are not being seriously discussed by the government. Given the growing length of post-retirement life, will people still be able to heavily depend on the public pension system, whose sustainability is threatened by the rapidly aging population and falling fertility rate? Before discussing reform of the public pension system, let’s examine what the 100-year life is really about. First, the current average life expectancy in Japan is 81.09 years for men and 87.26 for women, and the probability of survival to the age of 95 for people born in 2017 is 9.1 percent among men and 25.5 percent among women. So it is a misunderstanding to think that all people will live to the age of 100. At the same time, the population of people who reach 100 or more is growing rapidly. The number of centenarians was 62,000 in 2015 and it will hit 532,000 in 2050, according to the government’s population forecast. The financing of the public pension is almost a pay-as-you-go system, hence the pension benefits paid to the elderly depends on the pension premiums paid by the younger generations. In 2004, the government said that fundamental reform of the public pension system had made it sustainable for the next 100 years. In 2014, the government verified the future financial condition of the public pension system and reported that a major overhaul was not necessary. It must be noted, however, that the prospects for the system depends on a set of presumptions, such as there will be a certain level of economic growth and that the cost of pension benefits will be reduced by implementing the macroeconomic slide mechanism, which will adjust the size of pension benefits according to changes in social conditions such as the decline in the working population and the growth of longevity. But the macroeconomic slide has been rarely utilized since 2004, and the economic growth projection used in the government’s scenario is too optimistic. The government needs to fundamentally reconsider the financial prospects for the pension system. At a time when the population of the younger generations who cover pension expenses is falling, is it possible for people who live to 100 to receive sufficient pension benefits for 35 years (assuming they begin to receive benefits at age 65)? The government has reported that a typical elderly couple would receive pension benefits worth 50 percent of the income of working people — based on an optimistic economic growth projection. In my opinion, this would be impossible and we should consider carrying out additional reforms of the public pension system. One reform would be to raise the pension eligibility age from 65. The Health, Labor and Welfare Ministry is opposed to this idea and ministry officials say they don’t worry about the pension system’s future financial prospects because revenue to sustain the system will be secured by implementing the 2004 reform plans. But other developed countries are indeed trying to raise the pension eligibility age. For example, Britain plans to raise its pension-eligibility age to 68, while Germany will raise its to 67. Since the aging of Japan’s population is the most advanced among OECD countries, it seems unreasonable for Japan to retain the current standard. 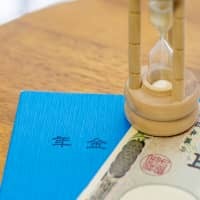 The biggest reason the government objects to raising the pension age is that most companies in Japan make their employees retire at 60 — and it is difficult to raise the mandatory retirement age. It is already hard enough for people to cover their expenses for five years from their retirement at age 60 until they become eligible for pension benefits at 65 (though they can start receiving pension benefits at reduced rates at 60). Although the government has made it mandatory for companies to provide some form of employment for their retired workers until they turn 65 if they wish to continue, it faces hurdles in extending this period in order to raise the pension eligibility age. But the hurdles either must be overcome or the government must weigh raising the retirement age to 65 and beyond. What needs to be done to carry out structural reform of the public pension system? First, the current public pension system must be changed to correspond with the 100-year life. According to “The 100-Year Life: Living in and Working in an Age of Longevity” by Lynda Gratton and Andrew Scott — which became a best-seller in Japan — the traditional lifestyle in which people enter the labor market in their early 20s and retire at 60 will be obsolete, and young people must be more flexible in choosing work and study over the course of their lifetime. I agree with what that book says, and the current pension system is not suitable to such a lifestyle. In particular, the current system is based on the premise that people will subscribe to the pension as employed workers for 40 years, but this is not compatible with the flexible styles of work such as freelancing or irregular jobs that are becoming more prevalent. We should establish a new public pension system that is not occupation-dependent. Second, reforms must be carried out to sustain the financial health of the public pension system. 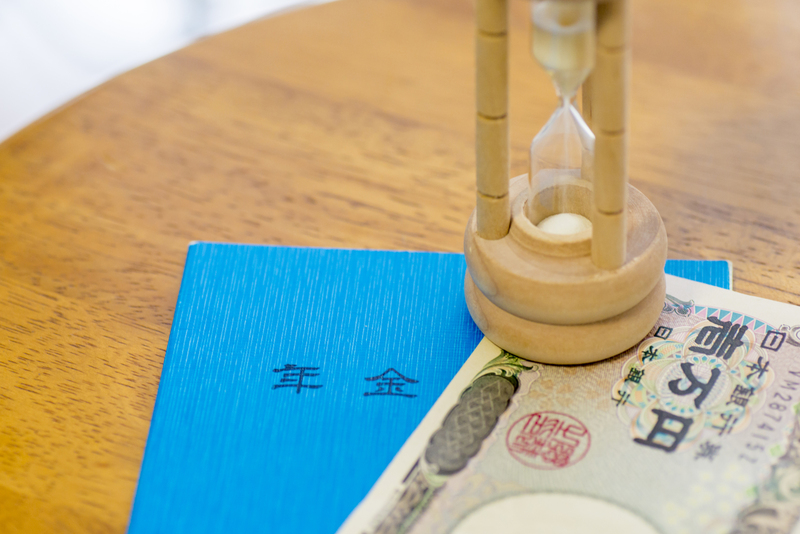 Due to the low fertility rate and the expanding elderly population, the financial sustainability of social security institutions, including the public pension system, is deteriorating. In light of the nation’s tight fiscal conditions, we should change the concept of the public pension from a universal system to a limited one with targeted recipients. Currently, public pension benefits are provided to all elderly people who paid premiums while working even if they are well-off because the public pension is managed as a social insurance plan and receiving benefits is an entitlement. If we change the public pension system to a public expenditure, it would be possible to base pension eligibility on financial status. In Canada, they have a clawback system that compels elderly people who have a net income in excess of a certain threshold to give up some or all of their public pension benefits. We need to seriously discuss introducing a similar system to prevent demographic changes from having a further impact on the nation’s fiscal health. Third, it will be indispensable to utilize private pension insurance to respond to the needs of the 100-year life and to realize a flexible way of living. In Japan, the public pension serves as the main source of income after retirement, and subscriptions to private pension plans are not common. But it will become increasingly important for people to prepare for retirement by using private defined contribution pensions such as iDeCo. Self-help will be a requisite for the next generations. For people to enjoy their longer lives, fundamental reform of the public pension system is indispensable. People should offer their wisdom to make that possible. Hisakazu Kato is a professor of economics at Meiji University and a former senior research fellow at the National Institute of Population and Social Security Research.